Note the new poll at the side. When I was in England in 2013 at the time running up to the passing of ssm, and the actual vote, (see my posts on that), everyday, at every Mass in my parish there, the pastor spoke against this. Have you heard any sermons on the coming SCOTUS vote? The poll has to do with words FROM A PULPIT! 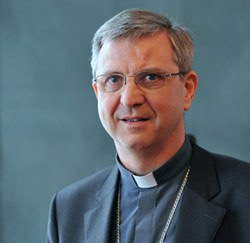 At the Extraordinary Synod last year Belgium was represented by Archbishop André-Joseph Léonard, a courageous defender of the Catholic moral teaching. In accordance with canon law Archbishop Léonard submitted his resignation to the Holy See on May 6 upon reaching the age of 75. This resignation was accepted less than a month later. In the run up to the Extraordinary Synod on the Family Bishop Bonny produced a manifesto, which called for radical changes in the Church’s approach to human sexuality. In the light of Bonny’s attendance at the Ordinary Synod we are republishing our original response to his “Open Letter”. implies support for the myth of world “over-population”. 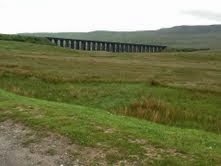 The full text of Voice of the Family’s response to Bishop Bonny, originally published on 3rd October 2014, can be read here. Bishop Bonny joins an increasing number of synod fathers who openly reject Catholic teaching on homosexuality. These include Reinhard Cardinal Marx, Archbishop Munich and Freising, Vincent Cardinal Nichols, Archbishop of Westminster and Bishop Heiner Koch of Berlin. The Heart of the Church is prayer, where in the Blood of Christ gives life to the soul. 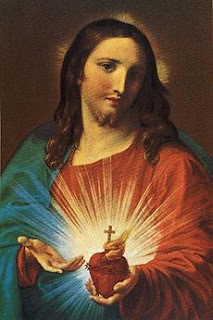 When I was in Tyburn, I studied the foundress' great insights on the Eucharistic Heart of Jesus, insights which were a gift of illumination from God, insights which brought together, joining together,the love and devotion to the Sacred Heart of Jesus with Adoration of the Eucharist, daily, 24/7. Without the focus being on Christ Himself, actions cannot be performed with purity of heart. Contemplation is the heart of the Church, not action. All actions which are done in the Church pour out of the merit gained by those who are praying. A long time ago, a good priest told me that the contemplative orders were like the Marines who cleared the beaches so that the rest of the Army can "mop up". Prayer of the faithful joins with the prayers of Christ and Mary for the People of God. If there is a lack of contemplative orders, or lay associations involved in contemplative prayer, actions by those who are in such active ministries, will be imperiled. Those places in the world, where there are contemplatives praying for hours in intercession for the Church, the bishops, the priests the seminarians, see the fruits of these prayers and sacrifices. Real contemplative prayer must not be considered "an extra", but an essential. And, this type of prayer is extremely difficult, both physically and spiritually, even for those who do this daily and by vocation. 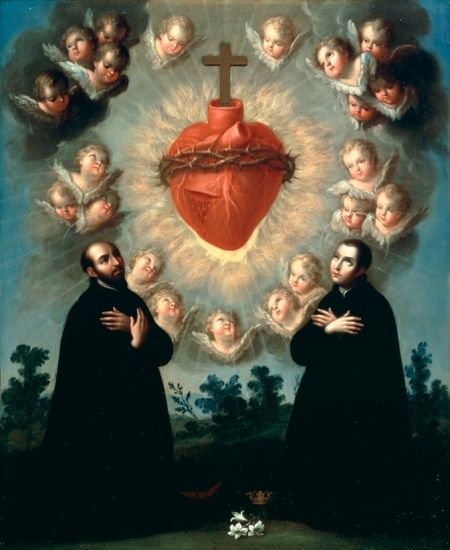 Mother Mary of St. Peter, Marie Adele Garnier, foundress of Tyburn, was a governess with a vision to adore the Eucharistic Heart of Jesus daily. She began her now thriving order, (ten houses in the world), with one person and the blessing of a farsighted bishop. At first, she and her one companion went to the local church to adore Christ daily. After a while, more women joined the two. Without Adoration and contemplation, the Church weakens from within, as the Heart of the Church becomes flaccid. I am praying for a benefactor, and I shall continue to worship and adore, and intercede to the Eucharistic Heart of Jesus for the Church, the clergy, seminarians, and contemplative souls to join with me in being the silent, quiet, Heart of Prayer for the Church. Again, one can turn to Garrigou-Lagrange for insights into this dynamic. The great Dominican notes that one cannot replace hope with presumption. If there is one thing that is dependent on Providence, it is the hour of our death." Be ye also ready, " says our Lord, "for at what hour you think not the Son of man will come" (Luke 12: 40). The same is true of the manner of our death and the circumstances surrounding it. It is all completely unknown to us; it rests upon Providence, in which we must put all our trust, while preparing ourselves to die well by a better life. Looked at from the point of view of divine justice, what a vast difference there is between the death of the just and that of the sinner! In the Apocalypse (20: 6, 14) the death of the sinner is called a "second death, " for he is already spiritually dead to the life of grace, and if the soul departs from the body in this condition it will be deprived of that supernatural life forever. May God preserve us from that second death. The unrepentant sinner, says St. Catherine,  is about to die in his injustice, and appear before the supreme Judge with the light of faith extinguished in him, which he received burning in holy baptism (but which he has blown out with the wind of pride) and with the vanity of his heart, with which he sets his sails unfurled to all the winds of flattery. Thus did he hasten down the stream of the delights and dignities of the world at his own will, giving in to the seductions of his weak flesh and the temptations of the devil. We cannot be sure of our own salvation, which is why we pray in the Hail Mary daily for the gift of final perseverance. This is a special grace, not the same graces as we receive daily. Too many people have a foot in two camps-one, the camp of wanting status and comfort; and two, the camp of God's Will. Only when one is firmly planted in the Will of God through humility and trust can one begin to grow. In the long perfection series, over and over, I have pointed to the fact that one cannot grow in holiness if one is not orthodox, believing in the doctrines of the Church. Recently, the great heresies of relativism, (people stating that all religions are the same and will get one to heaven), and universalism, (that all people go to heaven, and no one goes to hell), have been reiterated to me by Catholic church-going people. If the sinner will only disburden his conscience by a sincere confession, making acts of faith, of confidence in God, and contrition, at the last moment the divine mercy will enter in to temper justice and will save him. By reason of God's mercy every man may cling to hope at death if he so wills, if he offers no resistance. Remorse will then give place to repentance. Otherwise the soul succumbs to remorse and abandons itself to despair, a sin far more heinous than any of the preceding, as in that neither infirmity nor the allurements of sensuality can excuse, a sin by which the sinner esteems his wickedness as outweighing God's divine mercy. And once in this despair, the soul no longer grieves over sin as an offense against God, it grieves only over its own miserable condition, a grief very different from that which characterizes attrition or contrition. Blessed is the sinner who like the good thief then repents, reflecting that, as St. Catherine says,  "the divine mercy is greater without comparison than all the sins which any creature can commit." Happier still is the just soul that throughout life has given due thought to the loving fulfilment of duty and, after the merits won and the struggle sustained here on earth, yearns for death in order to enjoy the vision of God, even as St. Paul desired "to be dissolved and to be with Christ" (Phil. 1: 23). Being honest with one's self, states St. Augustine, is the key to holiness. St. Teresa of Avila repeats this call to know one's self, one's sins. This knowledge will keep us from triumphalism. Let me end with these words of Garrigou-Lagrange and St. Catherine of Siena. As a rule a great peace fills the soul of the just in their last agony, a peace the more profound the greater their perfection; and this is often most true of those who during life have had the greatest dread of the divine justice. For them death is peaceful because their enemies have been vanquished during life. Sensuality has been reduced to subjection under the curb of reason. Virtue triumphs over nature, overcoming the natural fear of death through the longing to attain their final end, the sovereign good. Being conformed to justice during life, conscience continues tranquil, though the devil seeks to trouble and alarm it. At that moment, it is true, the value of this present time of trial, which is the price of virtue, will be more clearly seen, and the just soul will reproach itself for not having made better use of its time. But the sorrow it then experiences will not overwhelm it; it will be profitable in inducing the soul to recollect itself and place itself in the presence of the precious blood of our Savior, the Lamb of God who takes away the sins of the world. In the passage from time to eternity there is thus an admirable blending of God's mercy and justice. In his dying moments the just man anticipates the bliss prepared for him; he has a foretaste of his destiny which may sometimes be seen reflected in his countenance. Fr. Ripperger tells us in one of his talks on our guardian angels, as a friend reminded me yesterday, that we can and should ask our angels for help in growing more perfect. Specifically, one can ask one's angel to humble one and make one see one's predominant fault. I am praying this prayer-Dear Angel, humble me interiorly and show me my predominant fault. Then, show me how to destroy this fault, for the glory of God and His Church. I made up this prayer, but it works for me. Your angel wants you to become perfect. I am asking mine more directly to help me on the way to illumination and union with God. Some commentators have asked me what God's Will is for them. God does not hide from us, nor does God withhold knowledge from us. If we really want to know His Will, He will show us. The problem is this: too many people do not give themselves enough time to listen to God in prayer. Silence must precede knowledge. God gives parents knowledge of vocations for their children, if they are praying and listening. God lets us know His will is we turn away from distractions. God's Will sometimes, as St. Thomas More stated, is what actually happens in our lives. It was God's Will that St. Thomas More became a martyr for the edification of us all, and for the building up of the Church. An interior conversation with God allows one to ask God for guidance and to listen to His answers. God's Will is actually the same as God's Love for each one of us. Love for us is in the will, This also is true in God as well. He loves us perfectly and wills our lives perfectly. As, God knows us perfectly and loves us perfectly, it makes sense to follow His Will for us. When we will according to God's Will, we are joining in the love of God in a more perfect way. When we surrender to God's Will, we are entering into God's "good pleasure". Here is my favorite mystical writer, Garrigou-Lagrange on love and will. from his book, Providence. 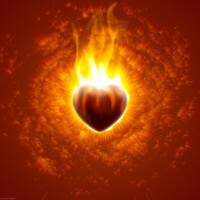 The beginning in us of a pure love for God will then be some participation in that love which God has for Himself, a spark from that Divine furnace of His own self-love. And as our love grows purer daily, it will increase in holiness, generosity, and strength. Indeed it will make us invincible, according to the phrase of St. Paul (Rom. 8:1), "If God be with us, who is against us?" And finally, our love thus gradually purified will enable us to triumph over death itself and will open the gates of paradise to us. When we enter into glory, we shall be established forever in a supernatural love for God that can nevermore be lost or lessened. In the same book, the author makes this point about knowing God's Will. When the will of God is made known to a soul, and has made the soul realize His willingness to give Himself to it, provided that the soul, too, gives itself to God - then under all circumstances the soul experiences a great happiness in this coming of God, and enjoys it the more, the more it has learned to abandon itself at every moment to His most adorable will. The more we surrender ourselves to God, the more we sense God's Will for us. This truth has been reiterated by many theologians. God is like the ocean, sustaining those who in all confidence surrender themselves to Him and do everything in their power to follow His inspirations as a ship will respond to a favorable breeze. This is what our Lord meant when He said: "The spirit breatheth where He will and thou hearest His voice: but thou knowest not whence He cometh and whither He goeth. So is everyone that is born of the Spirit" (John 3: 8). And this next section is key for understanding the cooperation of grace in the soul with God's plan. Our Lord tells us (Luke 16: 10): "He that is faithful in that which is least is faithful also in that which is greater." Again, in the parable of the talents He says to each of the faithful servants: "Well done, good and faithful servant, because thou hast been faithful over a few things, I will place thee over many things: enter thou into the joy of thy Lord" (Matt. 25: 21). We have here a most important lesson on the value of trivial things, one very often ignored by those who are naturally high-minded, who take the first step on the wrong path when their sense of dignity degenerates into pride. We cannot lay too much stress on this point in considering the fidelity we ought to show to the grace of the present moment. Trivial things must be followed faithfully. Many lay people get upset when priests do not follow the words and actions of the Mass, as they can see that the small things are not being followed faithfully. Being faithful to the grace of the moment must be seen as part of following God's Will. But, the paragraph in italics below indicated how a critical moment separates those who want to be saints from those who do not. This "critical moment" of choosing God over one's personality, personal choices, even characteristics which may seem essential to a person's identity, or one's desires which may not be in God's Will, must be faced. This moment can be a compromise of one's conscience, or a falling into doubt from sure faith, or an act of uncharitableness. Choosing real humility means choosing the narrow gate. Concentrating on God brings one to understand His Will. 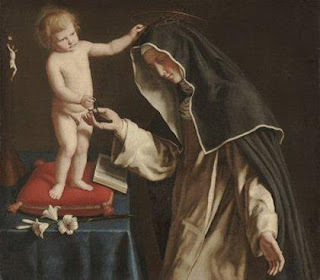 As often noted, in many cases where souls have given themselves to God in all sincerity and have made generous, even heroic efforts to prove their love for Him, a critical moment comes when they must abandon a too personal way of judging and acting - though it may be of a high order - so as to enter upon the path of true humility, that "little humility" which loses sight of self and looks henceforward on God alone. One chooses to slide backwards when one does not accept God's Will, and we kid ourselves at this point in denying that it is known to us. God gives us opportunities to do little things daily-like share a book, or article, or video with a friend. Or listen to someone who is upset with God, or mourn with someone who has lost a loved, which are all moments of grace in God's Will, if one is loving in and with God. Sometimes one choses not to go to daily Mass when one can, or to not seek out local times of adoration....all these things may seem trivial at the time, but these add up to times of saying "no" to grace. The acts then demanded of the soul are very simple and pass by unnoticed. There is nothing in them for self-love to take hold of. God alone sees them, and the soul thinks it is offering Him, so to speak, nothing at all. And yet these acts, St. Thomas says, 5 are like drops of water continually falling on the same spot: eventually they bore a hole in the rock. The same real effect is gradually produced by the assimilation of the graces we receive. They penetrate the soul and its faculties, at the same time sublimating them and gradually bringing everything to the required supernatural focus. Without this fidelity in little things actuated by the spirit of faith and love, humility, patience and gentleness, the contemplative life will never penetrate the active, the ordinary everyday life. Contemplation will be confined, as it were, to the summit of the intellect, where it is more speculative than contemplative; it will fail to permeate our whole existence and manner of life and will remain almost completely barren whereas it should become every day more fruitful. This is one reason why scheduling must be part of the growth in holiness. Without scheduling, one cannot be faithful, but merely act in spontaneous or knee-jerk reactions to events, things, and people. Scheduling allows reflection to enter into the day of trivial things. Quoting St. Thomas, Garrigou-Lagrange reminds us that no action is "morally indifferent". Each action must be deliberate, not merely reactive. The trivial becomes important through reflection and the awareness of God's love active in each moment of the day. Detachment has to be considered as an important attitude of the soul, mind, and body. The more one is detached from people, things, one's own desires, the more one "sees" God's Will in one's life. This is a matter of supreme importance. St. Francis de Sales more than once speaks of it. St. Thomas says the same thing in another way when he teaches, as we have already seen, that in the concrete reality of life no deliberate act is hic et nunc morally indifferent. In a rational being every deliberate act should be rational, should have an "honorable" end in view, and in the Christian every act should be directed at least virtually to God as to the supreme object of love. This truth brings out the importance of the multifarious actions we have to perform day by day. Perhaps they are trivial in themselves, nevertheless they are of great importance relative to God and the spirit of faith and love, of humility and patience that should actuate us in performing them and offering them to Him. We know when we are facing this "critical moment". God gives us many hints and signs of this time. For me, it was having cancer. That was my critical moment of following God more closely, or choosing my own will. But, willfulness can be a life-long struggle for some, as a way for God to humble one by letting one suffer one's faults over and over. This critical moment of which we are speaking marks a difficult crisis in the spiritual life of many fairly advanced souls, who then run the risk of falling back again. If a soul that has shown itself generous or even heroic, after reaching this point is still far too personal in its manner of judging and acting and does not see the need of a change, it continues on its way with a merely acquired impetus, and its prayer and activities are no longer what they should be. There is a real danger here. The soul may become stunted and its development arrested like one dwarfed through some deformity. Or it may take a false direction. Instead of true humility, it may almost unawares develop a sort of refined pride, which scarcely appears at first except in the small details of daily life. For that reason this will remain unknown to a spiritual director living apart from those he directs. This pride will steadily take the form of an amused condescension, and subsequently develop into an acerbity of manner in our relations with our neighbor, permeating the whole life of the day and thus stultifying everything. This acerbity may lead to rancor and contempt for our neighbor, whom nevertheless we should love for God's sake. Arrested growth may be one of the most common problems of good people wanting to become perfect. This refined pride masks itself as humility. But, then, the mask falls, and the growing hatred for neighbor comes forth in all its ugliness. The fruit becomes judgemental attitudes, criticisms, self-centeredness, and all this is worse than when one was a newbie Christian, as one has been given grace to advance, and one has chosen to slide back into the self. Remember my posts on "boomeranging". A soul that has come to this pass will not easily be led to make those holy considerations which are necessary for it to return to the point whence it went astray. Such a soul should be recommended to our Lady's care; in many cases she alone can lead it back into, the right path. The remedy for this evil is to make the soul very attentive to the grace of the moment and faithful in trivial things. What are trivial things? What are the things this soul needs to which this person must pay attention? The list varies according to one's role in society, and in the family. The trivial duties of children involve obedience and docility to good parents. The trivial duties of parents revolve around creating a domestic church and passing the Faith on to the children daily. A trivial duty of a single person could be speaking the truth to friends, evangelizing one's peers, and supporting the Church and so on in small, almost unnoticed ways. Intercessory prayer, which no one notices may be the core of the trivial which pleases God. The saints tell us that it is the faithfulness in little things which make the saint. When I was in the convent, washing the kitchen floor to a point of excellence was just as important as decorum in prayer. One had to be on time, dressed appropriately, following each detail of the schedule, and so on. Nothing was too trivial to be unimportant, as God is seen to be in the details in the Benedictine Rule. Two huge problems of today's society must be the inappropriateness of so much behavior, which causes a laxity of thought and leads to a more undisciplined mind. The disobedience of so many leaders in the Church and in religious orders can be seen in trivial things, like the words of a banned breviary, or the lack of a habit or signs of being a contradiction in the world, and so on. When I was in Tyburn, cleaning the kitchen floor in an excellence manner was deemed as important as proper decorum in chapel. Obedience in little things, like using the correct cloth for the floor, or turning out a light, created a habit of mind of obedience in larger things, like kneeling upright for one's time before the Lord in the Monstrance, or reciting the lessons of the day given by the Novice Mistress. Nothing is trivial. I have one short rule for knowing God's Will--follow the teachings of the Church to the last letter-not out of legalism, but out of a spirit of docility and humility. For love of Thee, O my God, and for the discharge of my debts, I will confine myself to the one essential business, that of the present moment, and thus enable Thee to act. In 1991, my then husband and son visited the small cell of Julian of Norwich. This tiny house was a replica of the one built onto the Shrine of St. Julian, from which Julian took her name. Christ favored her with "shewings", or visions, which she wrote down in the first book written in English by a woman. The visions began in 1373 and Julian wrote her book in 1393. When I was culling my books two weeks ago, I found the little book I bought on that trip. I intend to share a thought a day from her this week. This is the cause why we are not at rest in heart and soul: that here we seek rest in things that are so little there is no rest in them, and we do not know our God who is all might, all wise and all good. For He is our true rest. For He is endless and has made us for his own self only, and has restored us by his blessed Passion, and keeps us in His blessed love. And He does all of this through His goodness. God of your goodness give me yourself for you are enough for me.